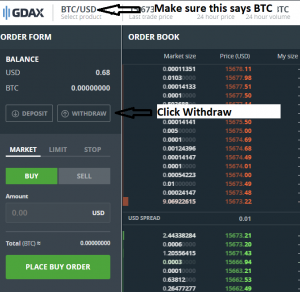 This will show you how to transfer Bitcoin from GDAX to the Bittrex exchange. This same process can be used to transfer to a personal wallet like Jaxx as well. The process is the same for everything. There are many different exchanges and the layouts will be slightly different for each one. But the premise is the same for each one. Find the wallet, asset, or anything that sounds like a place to store your money. So begin by logging into the Bittrex exchange. Your screen will not have the same coins shown on the top but that doesn’t matter. In the top right click Wallets. This is very important. Send the same type of coin to the same type of wallet. So for example, send Bitcoin to a Bitcoin wallet, or Ethereum to an Ethereum wallet. Do not send Bitcoin to a Bitcoin Cash wallet, or Ethereum to a Bitcoin wallet. If you do this your funds may be lost. So find the Bitcoin wallet. I have an arrow pointed to it above. Then to do a deposit, click the + sign next to Bitcoin. 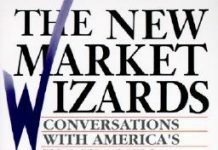 On other exchanges or personal wallets it may have something else. For example it could say, deposit or receive. 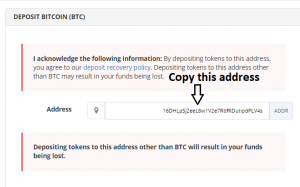 Don’t copy the address in the picture, you will send Bitcoin to me. Unless you want to send me Bitcoin. In that case, thank you. There will be numbers and letters in the address bar. Highlight them and then copy them. Now open a new window on your internet browser and log into GDAX. Do not close your window with Bittrex in it. Make sure it says BTC/USD in the top right. If it does, then click Withdraw. Click BTC Address in the top right. Then paste your copied Bitcoin address from Bittrex into the Destination box. Note: Whenever you do this go back to the Bittrex deposit screen (or any deposit screen) and make sure the first four numbers and/or letters are correct. In the Amount section, enter whatever amount of Bitcoin you want to transfer to the destination. In this case its Bittrex but could be any exchange or personal wallet. Now if you have Two Factor Code authorized, which you should, you can either enter your google Two Factor Code or Authy Code in the Two Factor Code section. If you do not have Two Factor click Get Code. You will be sent a text message with an authorization code. Enter the code in the Two Factor Code section. That is it. Your done. It may seem complicated at first but the more you do it the easier it gets. Just take your time. The deposit will not show up in Bittrex immediately. It may take anywhere from 30 min to several hours. To check if its deposited just go back to Bittrex under the Wallets section. This screen is in the wallets section of Bittrex. If the deposit is pending it shows in Pending Deposits. If it is finished it will be in Deposit History. 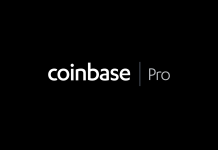 Remember this process is the same whenever you are transferring any coin anywhere. It will not look exactly like the Bittrex screen, but the steps are always the same. Find the wallet, asset or receive section from where you want to receive the coin. Copy the address of the coin you want to send. Make sure its the same coin. Go to the exchange, wallet or place you want to withdraw the coin from. Click the withdraw or send button. 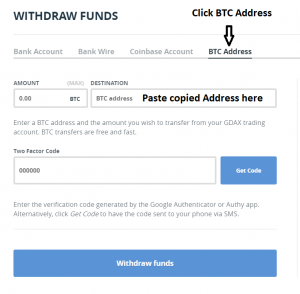 Paste the address into the withdraw or send section. Now wait for the coin to show up. Take your time doing it. Before you know it, you will be transferring bitcoin with no trouble.